Managing Director & Co-founder of Grand Central Tech. Please join Family Office Insights for this luncheon on Thursday, March 22nd at 12PM. If you care to join us, please email admin@familyofficeinsights.com. Family Office Insights sits down with Matt Harrigan to discuss GCT Ventures and its $50mm venture Fund to invest in the most-promising early-stage companies in New York, leveraging unparalleled real estate infrastructure to create an unfair sourcing advantage. Over the past three years, GCT has built NYC’s largest and most-competitive innovation hub within 335 Madison, a 1.1mm sq. ft. multi-billion dollar building owned by the Milstein family in the center of Midtown. Given the success of the concept, the Milstein family is investing $150mm to transform 335 Madison into the premier destination for NYC’s top startups. The renovation will in effect create the first multi-tenant Google campus, with an amenity set and curated peer group to attract the best early-stage companies, and for the first time, completely solve startup infrastructure needs. Tell us about your background and your company, Grand Central Tech Ventures (GCT)? I am a native of New York, having grown up and attended Regis High School in the Upper East Side. I graduated from Rice University in 2007, and upon graduation, I took a job as a consultant at Booz Allen Hamilton on the foreign affairs business team dedicated to working with the World Bank and USAID. The nature of the work we were doing was to see how a country was suitable for economic growth. If you take Tanzania, for example, you can figure out what about their policies are impeding or supporting their local business environment and evaluate why a certain African country is working better than the next. I did that for 3 years, which was a very formidable experience in policy studies with a mixture of statistics, economics, and political history, supporting the core aptitude I was trying to develop around environmental manufacturing of rich business environments. I departed Booz Allen Hamilton to join the boutique innovation strategy-consulting firm, Fahrenheit 212. I worked there for 2.5 years before being recruited to join ESPN as Product Manager to overhaul its mobile app analytic structure. Around 2013, given my personal network, I had number of conversations with seasoned founders in New York who were successfully part of venture businesses like Google and Facebook. They were discussing their next venture, and how NYC was coming to its feet as a prime location for tech accelerators. When Y Combinator was conceived in 2005, the knowledge around how to build a successful venture company was hard to come by, so that was an exciting business model. All that information regarding how-to execute strategy, build teams, and capture market penetration is now readily distributed by venture firms that need to contribute content to the ecosystem to get notoriety of their own. How to succeed is not relatively hard to understand; that is not to say you will succeed, but finding those kinds of resources is pretty easy to come by now, so giving 10% of your equity upfront for modest funding is questionable in whether it makes sense to do so or not. Each of the existing accelerators are a VC with a storefront, and it’s the relatively unconfident entrepreneurs that are willing to take bad deals right out of the gate because they don’t know if they’ll find a better one otherwise. In 2015, Michael Milstein and I co-founded Grand Central Tech Ventures, NYC’s largest and most competitive innovation hub in the center of Midtown Manhattan at 335 Madison, housed in a 1.1mm sq. ft., multi-billion dollar building owned by the Milstein family. At our core, we are a market-redefining accelerator: a no-rent, no-equity, year-long program. In the 4 years of our existence, we have had 1,000 applications for 20 spots in our accelerator. We are highly selective with a 2% acceptance rate, so our value proposition is centered on the quality of our community itself. How are you different from other accelerators? Who are your competitors? GCT is where venture and real estate is interwoven so each is mutually beneficial to another. Our building is architected so that is it attractive to the venture environment, and those who come into the building add value to it. The value is continually added, which should yield interesting investment opportunities for the LPs. We have an environment where top tier founders can engage with the brightest entrepreneurs. Success is never foretold, so even if you know what you are doing, it’s still going to be a lot of hard work. That said, there is a desire to be in a curated community for teams that need to be stimulated and empowered, and this can be a game-changer. We are able to do this uniquely because of our family office relationship with our space. What we do cannot be done in a vacuum, so our physical space is essential to building our curated environment. Given the success of our concept to date, the Milstein family is now investing $150mm into the building for the next 2 years to be the first multi-tenant Google campus with amenities that no startup of 10-20 people can afford themselves. This is one of our core areas of differentiation that a single family owns our space and is committed to growing it. Most recently, the Milstein family has planned to re-tenant the whole building so that floors 3-7 will be reserved for startups in our programs, and floors 8-30 are for corporations who want to be in and around our environment. We are getting our accelerator companies in front of great corporations like Google, Microsoft, IBM, JPMorgan, and Verizon (to name a few). In traditional accelerators, there are high turnovers with no capacity to contain these companies once the program has completed. With us, our companies remain in our building so that we build lasting relationships and corporate partnerships under our roof. Our value points are our curated environment, access to the corporate partners, the GCT team of 16, and available resources to solve any problems. As an example, we have strong relationships with City Hall after we were the recipients of a $2mm grant to start an Urban Tech Hub in our building working on future cities. This allows us to have an open line to City Hall so that our companies can talk about policy and be up to date with the latest information that others are not privy to. Y Combinator is a giant in this space, but our key competitors are the traditional seed funds. Typically, many seed funds are founded by 1 to 3 high net worth individuals who may have worked at a company like Facebook and decided that they have come to grasp with supply chain in the Warby Parker era, and will go find startups to grow. That individual or seed fund needs to do so many things beyond having a thesis to grow and sustain budding companies for success. We have already built a platform structure with a massively unfair competitive advantage in real estate and established the seed fund. Seed funds are trying to look more like accelerators these days, but we beat them because we have more resources. The other venture funds are generally competing on tired points of differentiation like being hyper-networked, and being in the industry for 15+ years, which I think can be a negative drag on how you see innovation. It’s more compelling in the future to say what else you can do beyond something that everyone has like an expansive network. We can bring you the richest environment to attract and retain talent. We think this is the new valuable thing to introduce to the world. The core channel we are addressing in the next 3-6 months is brand definition and how the market can appreciate what we are doing. We spent the last couple of months working with one of the premiere agencies in NYC to overhaul our brand message to better articulate all the exciting things we do. Of course, a major challenge for anyone in our space is creating a funding apparatus to fund the companies. We’re in the process of soliciting investments into our companies. We think what we do is far more formidable than what people think we do, and we need a funding apparatus to capture all of our efforts. We are introducing a new net model to the world with a creative approach to value added real estate. WeWork is not dedicated to the work its people are doing, but rather, focused on whether or not they pay rent every month. You do not have to take our money as a condition to your entry, but should know every company that comes through our doors has gone through a vetted process and therefore as a participant, or continuing “graduate” company, you can take comfort in the community you’re surrounded by. WeWork has 150K SqFt in space, but it’s quite different to have 1.1MM SqFt in space housing solo entrepreneurs and divisions of large corporations under one roof with a venture apparatus around it. In our rich watering hole, you’re going to see connectivity where it makes each company better and more valuable to invest in. It’s a symbiosis that can only be unlocked and become dynamic if you have meaningful square footage under one (large) roof, or in our case, building. I think that things can be done to ensure that the NYC tech ecosystem evolves in a way that it doesn’t look and feel like San Francisco, in that, SF feels extractive and doesn’t actively add to the local economy in which it operates in. In the current landscape, we’re not reactive to the narrative of #MeToo, but have been proactive against it for the last 4 years. ~50% of our founders have been female with a disproportionate number being minorities and veterans. We also run an internship program from the NYC-area colleges that tend to be overlooked because they’re not Ivys, in order to challenge the notion of who can be successful in this sector. We also have a market dynamic and social good orientation that will generate a durable brand that companies want to be associated with. GCT is raising a $50MM venture fund to invest in the most promising early-stage companies in New York, leveraging unparalleled real estate infrastructure to create an unfair sourcing advantage. We may go up to $60mm in the event of over subscription, but that’s our ceiling with a minimum investment of $500K. Our ideal investor is somebody who has experience in the tech industry and can add value as our LP, or a high net worth family office type where the wealth that has been generated for that family office has some attachment of supporting venture. GCT’s mission is to create the premiere destination for early stage tech companies and to capitalize on the deal flow that makes curating our unique environment possible. The re-launch of our brand identity along with the close of this current Fund is set for April. The new application process for the accelerator will open on May 1st for the next round starting in September. Matt Harrigan is Managing Director and co-founder of Grand Central Tech. 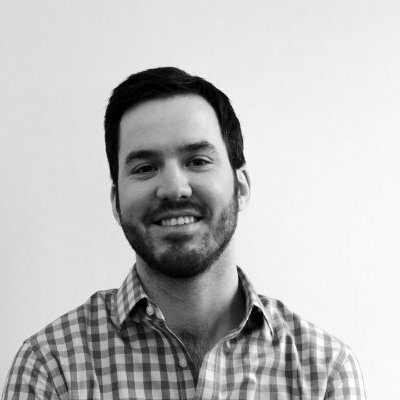 Prior to founding GCT, Matt worked as a Product Manager at ESPN, where he worked across the full range of their mobile products, most notably overseeing their College Football App, Webby-nominated for Best Sports App in 2013, before eventually overseeing product analytics across the full suite of ESPN apps. Prior to ESPN, Matt began his tech career with the innovation strategy consulting firm, Fahrenheit 212, where he worked with Fortune 500 clients to identify and bring to market new revenue generating opportunities that leveraged technology. Matt began his career in international development at Booz Allen. 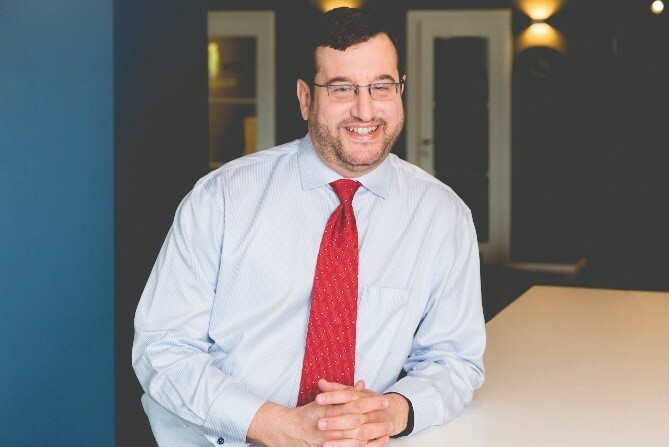 In addition to his role at GCT, Matt serves on the boards of: The Advisory Council for NYCx, New York City’s municipal tech engagement program; Women in Tech N ew York; and the NYC Leadership Council for the Brady Campaign to Prevent Gun Violence. If you have any questions, please contact Matt at matt@grandcentraltech.com.